Who have you designated as beneficiaries for your insurance policies and retirement accounts? If you can't remember, you're not alone. But it's worth checking. If you make the wrong decision, it could affect who inherits those assets. In some cases, it could also change the taxes your beneficiaries will pay and the value they'll receive. Here are some key facts about beneficiary designations. * When you designate a beneficiary for an account, you are naming the person you want to inherit that account. * Your designation determines who will inherit the assets in the account, regardless of what your will might say. Generally, the assets will bypass probate and go straight to the person or institution you named. * You can designate a person or group of persons, a charity, a trust, or your estate. You may also want to designate a secondary or backup beneficiary in case the primary is no longer living. * It's important to keep beneficiary designations up to date because they determine who will inherit the assets in your accounts. Changing your will won't change the beneficiaries. * There can be tax implications too. 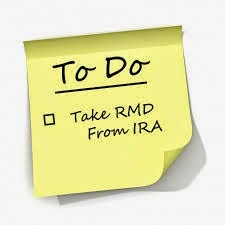 With a traditional IRA, your choice of beneficiary can affect how quickly withdrawals must be made and taxes paid. 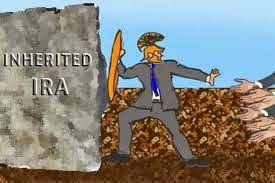 That can change the value of the IRA to your beneficiary. How do I update them? * First, find copies of all your current designations. Contact your insurance company and plan trustees if you can't locate the documents. * Review them and decide what changes you'd like to make. Make an appointment to go over the changes with your tax or estate planning advisor. * Send your updated designations to the account trustees. Make sure you receive confirmations and keep copies in your records. When it comes to taxes, being self-employed has some advantages. Whether you work for yourself on a full-time basis or just do a little moonlighting on the side, the government has provided you with a variety of attractive tax breaks. * Save for retirement. When you're self-employed, you're allowed to set up a retirement plan for your business. Remember, contributing to a retirement plan is one of the best tax shelters available to you during your working years. Take a look at the SIMPLE IRA, SEP IRA, or Solo 401(k), and determine which plan works best for you. * Hire your kids. If your business is unincorporated, employing your child under the age of 18 might make sense. That's because your child's earnings are exempt from social security, Medicare, and federal unemployment taxes. This year, your son or daughter can earn as much as $6,200 and owe no income taxes. You get to deduct the wages paid as a business expense. * Deduct health insurance. Are you paying your own medical or dental insurance? How about long-term care insurance? As a self-employed individual, you may be able to deduct 100% of the cost of these premiums as an "above the line" deduction, subject to certain restrictions. * Take business-use deductions. Self-employed individuals can also deduct "mixed-use" items directly against their business income. Use your car for business and you can deduct 56¢ per business mile driven. The business-use portion of your computer purchases, Internet access, and wireless phone bills is also allowable. And if you meet the strict requirements, claiming the home office deduction makes a portion of your home expenses tax-deductible. 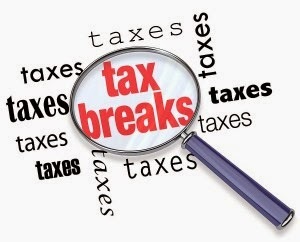 Please give us a call to find out more about the tax breaks available to self-employed individuals. Could you benefit from cost segregation? Almost any taxpayer who owns commercial real estate can reduce his or her current income tax bill by using cost segregation. Just how much you save in taxes will depend on several variables. The greater the cost of your property, the greater the potential for current tax savings. Any building that was constructed, purchased, or remodeled since 1987 may be eligible for cost segregation. Retroactive tax deductions are available on older buildings without the need to file amended tax returns. 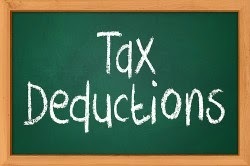 To pass an IRS audit for these deductions, you will want to use a cost-segregation specialist. This will usually be a construction engineer who can perform a detailed engineering study of all the building components (walls, ceilings, floors, plumbing, electric, telecommunications, heating and cooling systems, etc.) and assign the appropriate value to each. Those elements that qualify for five, seven, or fifteen year write off will provide the property owner with greater depreciation deductions and hence lower taxes in the early years. 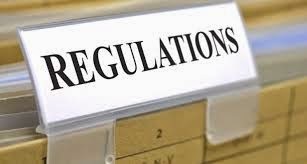 The downside may be the cost to do the study versus the accelerated cash flow and possible penalties from the IRS for those who use cost segregation too aggressively. * Conducted by someone with valid credentials as to experience and expertise. * A detailed description of the proper methodology. * Complete and proper documentation. * A full listing of all property that qualifies for shorter write off periods. A properly conducted cost segregation study can provide a property owner with cash today that he or she would not otherwise get for several years. An initial consultation with a cost segregation specialist can help you determine if your property is a candidate for a full blown study. Consider a health savings account (HSA). Investing in an HSA gives you a current-year tax deduction while providing a savings account to use to pay out-of-pocket medical expenses currently or in the future. An HSA is not a "use-it-or-lose-it" plan. Any funds in the plan at year-end can be used in future years. And be aware that you can fully fund your HSA up to April 15 of the following year. Some U.S. companies are using corporate inversions to reduce their taxes. Investors in companies that do an inversion may find that their own taxes are increased. When the U.S. company becomes the subsidiary of the foreign company, it issues replacement shares. Typically, the new shares are equal to the former shares but no cash is involved. As a shareholder, you're required to recognize a gain on the exchange of stock even though your ownership position remains the same. The gain is the amount by which the value of the stock on the inversion date exceeds your basis. Investors should also be aware that inversions can affect the amount of capital gain reported to you by mutual funds you own if companies in the fund's portfolio choose to invert. Though not all mergers will create taxable income, keeping an eye on your portfolio can prevent tax bill shock when you file your 2014 federal income tax return. The IRS and the Treasury recently issued regulations intended to curb the growing use of "corporate inversions." 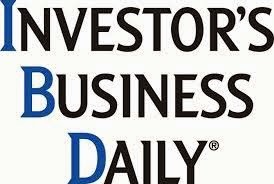 Here's how an inversion typically works: A U.S. company acquires a foreign company in the same business with the intent of changing the corporation's headquarters to the foreign country in order to enjoy that country's lower tax rate. The new rules put more restrictions on inversions in order to make them less attractive to businesses. IRS Commissioner John Koskinen recently discussed the major concerns the IRS has as it readies itself for the upcoming tax filing season. The proliferation of tax scams is a big concern with millions of taxpayers already having been taken in by scammers impersonating IRS agents. According to Koskinen, these scammers make threatening phone calls, trying to intimidate victims into providing personal financial information that can be used to steal identities. A second area of concern is the IRS's involvement in handling the premium tax credits under the Affordable Care Act. Some taxpayers who were given advances on the credits based on income estimates may find that they may be receiving smaller refunds or owing the IRS money after filing their 2014 tax returns. Some itemized deductions are limited by a percentage of your gross income. An example is miscellaneous deductions. These provide a benefit only if your total outlay for costs such as investment fees and unreimbursed employee business expenses exceed 2% of your adjusted gross income. If you consistently lose out on these deductions, check now to determine if pulling some of January's expenses into December will help. Keep an eye on your exposure to the alternative minimum tax whenever you plan a strategy for making the most of deductions. Some expenses aren't deductible under those rules. Did you celebrate your 70½th birthday in 2014? Do you have a traditional or rollover IRA? If both answers are yes, the deadline for taking the initial required minimum distribution from your retirement account is April 1, 2015. Required minimum distributions are the smallest amount you can withdraw from your account to avoid penalties, and your 70½th birthday is the triggering start date. That's defined as six months after your 70th birthday. As an example, if your actual birthday was in July 2014, you'll turn 70½ in January 2015. That means you don't have to take a minimum distribution for 2014. Instead, you're required to take your first minimum distribution no later than April 1, 2016. After the first distribution, you must complete each annual withdrawal by December 31. Note that you may want to take your initial distribution by December 31 (instead of the following April) to avoid two withdrawals in a single year. 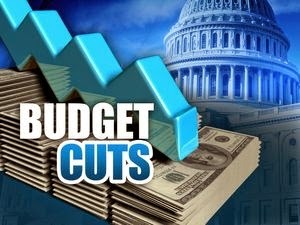 The IRS is facing budget cuts that will result in fewer audits and other enforcement activities. 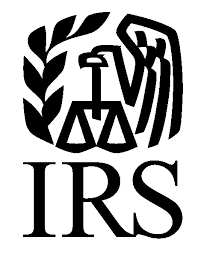 The IRS reports that it will do 140,000 fewer correspondence audits in 2014 than it did in 2013. The individual audit rate for 2014 is expected to drop to 0.80%, a decline from the 0.96% rate in 2013. That translates to one audit for every 120 tax returns filed in 2014. The audit rates for partnerships, S corporations, and corporations are falling as well.